day 132…my pen! my pen is missing! Today’s drawing is in honour (note the spelling!) of Bruce McCulloch, one of the Kids in the Hall, as it is his birthday! 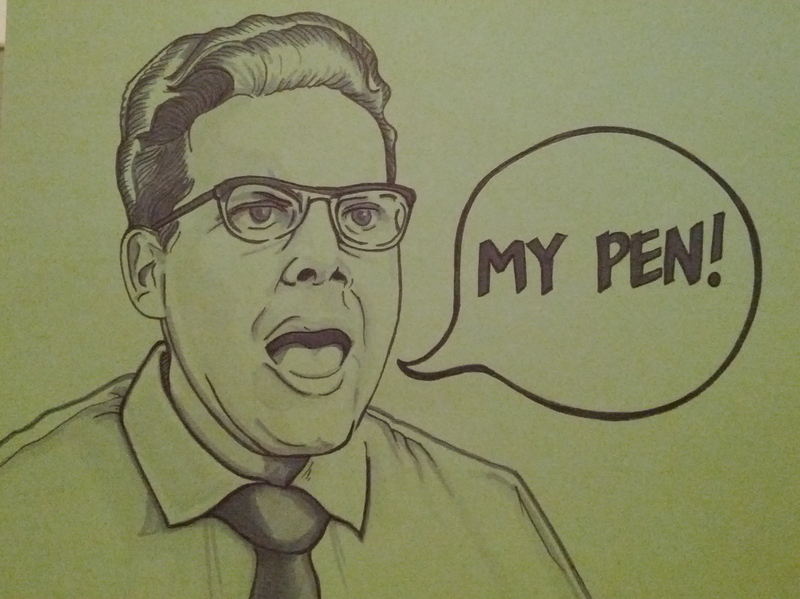 Here he is in one of favorite skits, My pen! My pen is missing! The one I do all my work with!